Dr. Shih earned his medical degree from the University of Massachusetts Medical School and completed his Internal Medicine residency and Nephrology fellowship at Rush-Presbyterian-St. Luke’s Medical Center, Chicago. Board certified in Internal Medicine and Nephrology, Dr. Shih is a member of the American Society of Nephrology. He has been in practice in the New Bedford area since 1998. 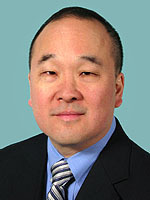 Dr. Shih provides specialty care for patients with kidney problems and hypertension as well as providing primary care.